Most of you by now have probably seen the movie Moneyball and if not take the time to watch the movie or read the book Moneyball: The Art of a Winning an Unfair Game. It’s a look at the 2002 Oakland Athletics and their new found drafting methodology and how the players, on base percentage, was the largest factor for scoring and winning baseball games. Understanding a players’ strengths and weaknesses are crucial on a professional level when there are millions of dollars on the line. Now how does that relate to our golf games low and higher handicaps? One thing I have learned over the years while playing tournament golf is that there is no one perfect way to “play” the game for everyone. I have played with players that can hit all the shots and have very visually pleasing golf games and I have also competed against players that did not possess this visually pleasing skills set, but both players were great scores. Both players spent years obtaining a technique that was highly repeatable. The one common non-tangible skill set that they did possess is a very high level of understanding their golf game and what they are could or could not do with a golf ball. They also understood where they should be spending their time to get better and were efficient “practicers”. With the addition of more detailed reporting by ShotLink on the PGA Tour in the last 10 years, players are able to take a much more detailed and analytical look at their entire game. They are able to track the most meniscal areas of their game and instructors/coaches have spent a significant amount of time to help their players understand where their practice time should be spent and how they can effectively gain traction in the progress of their games. This stat driven movement has even attracted MIT statisticians to truly understand how to track stats and the importance. As the tournament purses keep rising, these studies will be more significant to a players success and companies like IMG (sports marketing company) will determine a players marketing worth as these reports will help project their ability to win golf tournaments. This is where baseball and golf have been moving over the last few years. Now, what does this have to do with the player that shoots 75-90? I see this as having a large part of how these players can take their games to the next level. As an amateur you do not have 8 hour practice sessions three to four times per week, so your time is actually more valuable when you get the chance to practice. Understanding your golf game, so that you can improve the areas that are truly holding your game back from the next level is crucial. I have been spending the past two years, summer and winter, helping players to track the correct areas of their games to become more efficient with their practice time and our lesson time. Every player should be keeping up with certain areas of their games and even tracking certain practice drills to see if what they are working on is actually positively altering their games. Understanding stats is a work in progress for all coaches that are interested in this fairly new movement and some basic stats that have been popular in the past few years have been misunderstood and did not accurately depict their importance to the player’s game. A common misunderstood stat has been Putts Per Round, and why some players that have good finishes in a Tour event would also have a higher than average Putts Per Rounds. Due to a player hitting an excessively higher number of greens the player would then have a higher than normal Putts Per around due to the fact his Average First Putt was much longer than the other players, this can be seen with a player like Boo Weekley. This is where the Putts Gained stat came from, so that players could understand their putting verses the field that specific week or round. During the summer months tracking practice sessions and playing stats are not that difficult, but typically we do not think of track our stats in the winter months here in Chicago. Over the past three winters I have been putting together a program that starts to track players and start to help players understand their games while indoors over the winter months. If you are interested in tracking your game over the winter we can setup time this winter to get you started. As for the summer there are a few things in general that I think players should be tracking to get a clearer picture of their game to help maximize their practice time and move their game to the next level. Here are just a few practice drills that each player should be keeping up with while practicing and the link below gives you a simple scorecard to get started tracking. I will be adding a way to track your practice session on my website soon and we will be able to take a look at your practice sessions as well. Taking a half hour once per week to hit 10 shots from each of these parameters over time would give us a clearer look at most players’ games and would help us pin point an area of focus for your practice sessions and lesson time. Starting this summer the students that are interested in starting a stat tracking program I will be signing players up into a program called Shot-By-Shot. This program has been around and I have used this in the past, but want to be able to track my students with a little more detail. As players we have predetermined ideas of where they are weak and a non-bias stats program will help us take an objective look at your golf game. I will be sitting down periodically with my students to go over their stats and practice suggestions as a part of this program. My students should contact me for more details before signing up online, as there will be a discounted rate for my students. SHOT BY SHOT is the industry leader in golf statistics and comparative performance analysis. 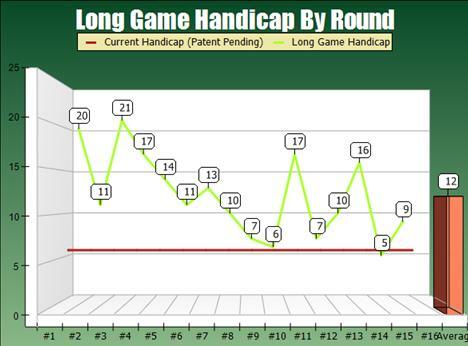 Founded in 1989, SHOT BY SHOT has unmatched golf statistical “intelligence” from studying golfers of all skill levels. Over 95,000 rounds including PGA Tour, LPGA Tour and NCAA players have been analyzed. Input your key performance indicators from each round and gain tremendous insight into your strengths and weaknesses. The SHOT BY SHOT program has been featured in Golf Digest and GolfDigest.com. I hope you have a better understanding of how players are diagnosing the weaker points in their game and how this is applicable for all handicap levels to take their game to the next level. If you are a student of mine and you are interested in signing up for this program, contact me for a discounted instructor rate.